We are very pleased to say we will be photographing all the matches from this years Senior World Championships in San Juan Argentina. Log on and have a look at the pictures throughout the week and see all the action from your rink side seat. In addition to the photos all the match score will be added to keep you up to date with the winners and losers from this spectacular event. * No photos due to insufficient space at the rink for photographers. Congratulations to Spain for becoming the Under 20′s World Champions in Barcelos Portugal. 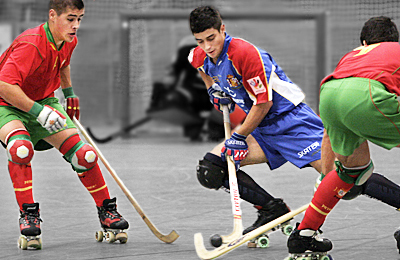 As mentioned in my last posting we will soon be traveling out to Barcelos Portugal to cover this years Under 20 Roller Hockey World Championships starting on 11th September. I have listed the first phase of the championships below and will update the scores after each match subject to the availability of an Internet connection. Our main reason for going to this prestigious competition is to photograph some of the best upcoming players from the fifteen participating countries and to catch the atmosphere of the stadium. This year as the championships are in Portugal we are expecting to see many spectators supporting their young players. This years International Season will soon be with us with the World Men’s Seniors Championships being held in San Juan at the back end of September. The European Under 17′s this year are in the beautiful city of Geneva, Switzerland at the beginning of September. Barcelos, Portugal will host the Under 20′s World Championships to 16 teams starting on 10th September 2011 and this years European Ladies will be in Cronenberg in Germany this coming October. September is going to be a busy time for us due to the fact that we have been asked buy some participating teams of the mens worlds and the under 20′s to represent them and take there photos this year. 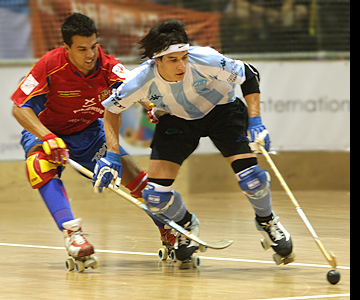 In addition to this we will be uploading pictures of the matches to our achieve gallery which is used buy many Roller Hockey writers world wide for their source of editorial picture content. 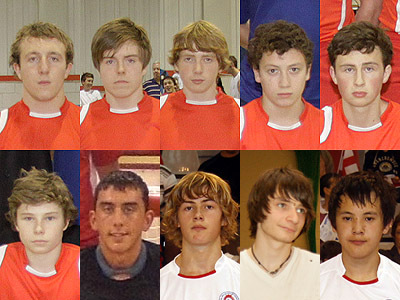 Carlos Amaral, National Coaching Director, has announced the England Under 20 Team to participate in the World Championships which will take place in Barcelos, Portugal 11th to 17th September 2011.